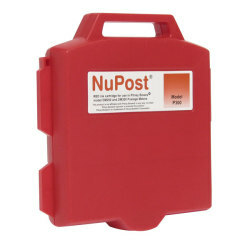 NuPost Non-OEM New Build Red Postage Meter Ink Cartridge for DM200, DM300, DM400 (Alternative for Pitney Bowes 765-0) (7,000 Yield). NuPost and ecoPost postage meter supplies deliver exceptional quality and performance at a great price. This extensive product line supports over 90% of the demand in today's market, is fully compatible with the most popular postage meters and comes with a 100% satisfaction guarantee.